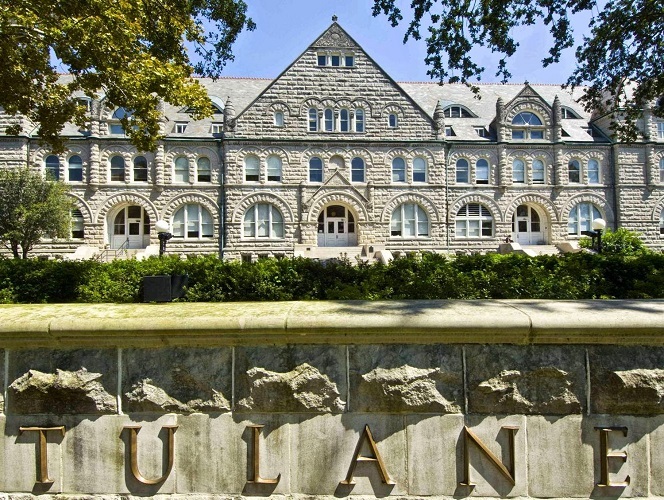 Tulane University Law School - Find Your LL.M. As the 12th oldest law school in the United States, Tulane University Law School was established in 1847, 13 years after the University of which it is a vital part. From its founding, Tulane has offered its students the opportunity to study both of the world's great legal systems–the common law system upon which English and US law is based, and the civil law system governing most of the rest of the world. For well over 75 years, Tulane has welcomed students and scholarship from throughout the world to study at the Law School. Known worldwide for the excellence of its faculty and its legal education programs, Tulane offers a unique and valuable experience to law graduates wishing to pursue advanced study. The school’s location in New Orleans places it in one of the most diverse and cosmopolitan cities in the United States, if not the world. Because Tulane considers graduate legal education to be a central part of its identity, the Law School offers programs designed to enable LLM students to thrive both academically and professionally. In addition to four LLM programs, an SJD program, and a 14-credit add-on program for LLM graduates wishing to prepare for US bar exams, Tulane offers a number of resources to enrich students’ experiences and to help them to take full advantage of the graduate program. These include a 3-week introductory course for international LLM students, taught just before the start of the fall semester. This course and associated activities has the dual purposes of introducing students, in a relatively relaxed environment, to the methods and expectations of US legal education and introducing them to areas of US law with which all students should gain some familiarity. Tulane also offers English-language instruction and support to those students who may benefit from it, with emphasis on the language of legal and business environments. Finally, the Law School’s Office of International Legal Programs is staffed by an Executive Director and assistant director who plan both educational programs and social programs and who ensure that all LLM students receive individual attention and advising. Our goal is to offer LLM students a complete and valuable experience. Additional information about these special aspects of Tulane’s graduate legal studies program appears throughout this brochure. Each year, as many as 50 graduate students from throughout the world enroll in the graduate programs at Tulane Law School, joining approximately 750 Juris Doctor students who are pursuing studies for their fi rst law degree at Tulane. Since the 1930s, Tulane has welcomed students and scholars from throughout the world to study at the Law School and to experience life in New Orleans, one of the most diverse and cosmopolitan cities in the United States. The faculty of Tulane Law School includes over 40 full-time scholars with diverse interests and backgrounds. Courses are also offered by part-time faculty, including outstanding legal practitioners and federal judges. In addition, prominent law professors from abroad or from other American universities teach at Tulane each year as visiting professors. 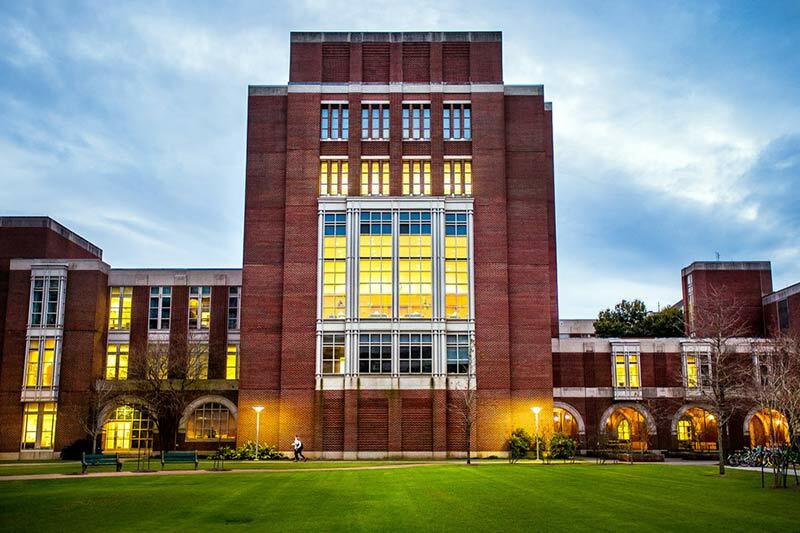 Among the strengths that graduate students find at Tulane Law School are the opportunity to pursue a broad course of study or, if they so desire, to specialize in one of the areas in which Tulane offers particular strength. These include international and comparative law; environmental law; maritime law; business, corporate, and commercial law; and intellectual property law, among others. Candidates for admission must hold the Juris Doctor (JD) from a United States law school or the LLB or equivalent first basic law degree from a non-US law school approved by Tulane’s Committee on Graduate Admission. 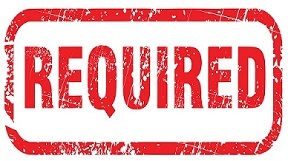 The candidate for admission must present a law school record displaying superior scholarly aptitude or must otherwise demonstrate an ability to excel in postgraduate legal studies. 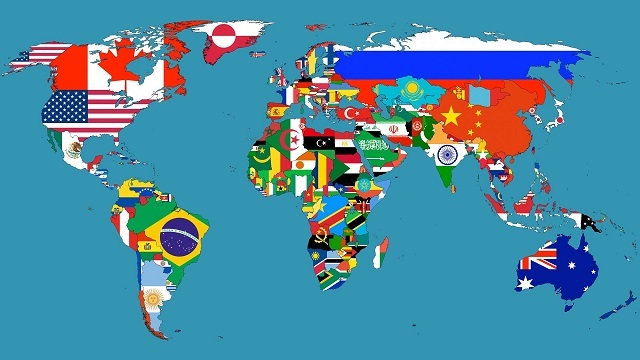 Applicants whose native language is not English, or whose first law degrees (JD or LLM or equivalent) are from schools at which English was not the language of instruction, are required to take the Test of English as Foreign Language (TOEFL). Applications for admission should be submitted between September 15 and May 15 for enrollment the following July and August. Early applications are particularly important for international candidates because of the time required to process visas and immigration forms. Early applications receive the most optimal consideration for available scholarship funds. The LLM program is for individuals who already hold the first law degree. The preferred and most reliable application method is to apply on-line. This link will take you to the Tulane Law School LLM application forms. Support is provided by the Law School Admission Council (LSAC). The Tulane application fee is automatically waived for applicants who apply electronically through the LSAC. We offer the waiver to help offset the costs associated with the LSAC's Credential Assembly Service. complete transcripts of work at all colleges, universities, and law schools attended, whether or not a degree was granted. See the Credential Evaluation and Analysis section below for details. letters of recommendation from two of the candidate's current or former law professors; these may be written on the forms provided or on the recommender's own letterhead. Please note that the letters should be sent to us or to the LSAC directly from the recommenders and should not be sent by the candidate. 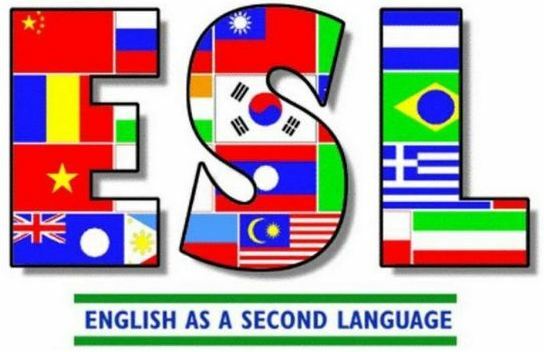 English proficiency testing is NOT required if the applicant's native language is English or if English was the language of instruction during the applicant's first law degree. All other applicants should arrange for Tulane Law to receive an official test score report. If you earned a JD from a law school in the US, purchase only the Document Assembly Service. LSAC will include copies of your transcripts and letters of recommendation in your law school report—no transcript analysis is necessary. Application instructions are available on our web site, www.law.tulane.edu and on the LSAC website at http://llm.lsac.org. 1. Satisfactory completion of 24 credits, 21 of which must be at the Law School, and 3 of which may be in a Tulane Law School summer law program. "Satisfactory completion" is defined under Academic Standards in the Student Handbook. No transfer credit for work completed at other law schools can be granted toward the LLM or SJD degrees at Tulane Law School. 2. Full-time students must complete between 10 and 12 credits of coursework in each of two consecutive fall and spring semesters, except with special permission. Part-time students must complete between 4 and 7 credits of coursework each semester, completing all degree requirements in four semesters, with the option of attending one Tulane Law School summer session in New Orleans for up to 3 credits of coursework. 3. Students must satisfy the specific requirements of the degree program in which they are enrolled (e.g., General LLM, Admiralty, American Law, Energy & Environment, Law and Development, or International & Comparative Law). 4. Students are required to write papers for at least three but not more than nine credits of coursework, in courses requiring or permitting completion of a paper in lieu of an exam. Directed research credit falls in this category and may be substituted for up to three credits of the writing requirement. Students may not receive credit for directed research beyond the nine-credit writing credit maximum. The course Legal Research & Writing for International Graduate Students may not be counted toward the writing requirement. 5. All master's degree candidates who have received the first law degree from a school outside the 50 United States must enroll in Introduction to American Law (2 credits) and Legal Research & Writing for International Graduate Students (1 or 2 credits), in addition to any specific degree requirements. Because the Introduction to American Law course is offered only in the summer immediately preceding the start of the fall semester, all LLM candidates whose first law degrees are from schools outside the 50 United States must arrive at Tulane by late July. 6. Clinical programs, Trial Advocacy course and externships are not open to graduate students subject to the following exception. Students who received a JD from a U.S. law school and who are candidates for a Tulane Law School Master’s degree may apply to participate in the Environmental Law Clinic for a maximum of one semester. This is the only clinic open to graduate students, and the limitation of one semester participation is not subject to modification..
7. Students in the full-time graduate studies programs must be enrolled as full-time students at the Law School for one academic year (i.e., two full-time semesters). A full-time semester is defined as enrollment in 10 or more credits of coursework. Students may not pursue degrees in absentia. 8. Students must meet all financial obligations to the University. 9. Each student must, after fulfilling all other degree requirements, be recommended for the degree by the law faculty. Students who would like exposure to a wide range of courses in the traditional American law school curriculum to supplement their knowledge of the law of another country may enroll in courses throughout the entire curriculum. Many of these students pursue the General LLM degree, using the program for a broad survey of US law. Students may instead pursue specialized degrees, exploring their areas of interest in ways not permitted in most JD or LLB programs. The LLM in Admiralty, the LLM in Energy & Environment, and the LLM in International & Comparative Law are designed for this purpose. In addition, some students use the General LLM degree to concentrate in other areas in which the Law School offers curricular depth, such as intellectual property or US constitutional law. The Doctor of Juridical Science (SJD) program is a small and selective program designed for students who already hold the LLM and whose objective is to engage in significant scholarly research in the form of a dissertation. Each of the master’s degree (LLM) programs requires completion of 24 semester hours of coursework, up to three of which may be taken in a Tulane Law School summer abroad program. Most students complete the degree requirements during a single academic year. Although there is no thesis requirement, LLM students are required to write at least one paper in connection with a seminar in their field of interest or in connection with a directed research project. For those students who received the JD or LLB (or equivalent) from a school located outside of the United States, enrollment in Tulane’s three-week summer orientation course, Introduction to US Law, is mandatory. The session begins in late July each year. International students also take a required legal research and writing course in the fall. Degree Requirements for the SJD Because the Tulane SJD program is a small and very selective one, each SJD student is assigned a faculty advisor upon admission. The faculty advisor and SJD student work together to design an individualized program, which includes at least one semester of fulltime coursework at Tulane. Upon completion of coursework, the SJD student proceeds to research and write the dissertation, conferring with his or her advisor along the way and submitting drafts for review and feedback. Tulane’s expectation is that the final SJD dissertation will be submitted within four years following initial enrollment in the program. The dissertation is to make an original and significant contribution to legal scholarship. Each candidate defends his or her dissertation in an oral examination before a committee of the Tulane Law School faculty, supplemented with other University faculty where appropriate. All four LLM programs are offered on a full-time and part-time basis. Full-time students are expected to complete the LLM in two semesters, or one academic year. All part-time LLM students must complete the program in four consecutive (non-summer) semesters. The LLM in Admiralty part-time program is an option only to attorneys in full-time practice in the New Orleans area. Due to student visa requirements, many international students are required to enroll on a full-time basis. All international LLM students begin the Introduction to US Law course in mid-July and proceed directly into the fall semester, which begins in late August and concludes at the beginning of December; fall-semester exams take place in December before the winter break. The spring semester begins in mid-January and concludes in late April, followed by spring-semester exams. Commencement ceremonies and conferral of degrees take place in May. During the first semester of enrollment, SJD students take between 10 and 12 credits of coursework. Thereafter, most SJD students work full-time on the dissertation until it is completed. It is the expectation of the faculty that the SJD will be completed with four years of initial enrollment. Each of the LLOM programs requires two full-time semesters in residence and satisfactory completion of 24 credits, up to 3 of which may be completed in a Tulane Summer Abroad Program. 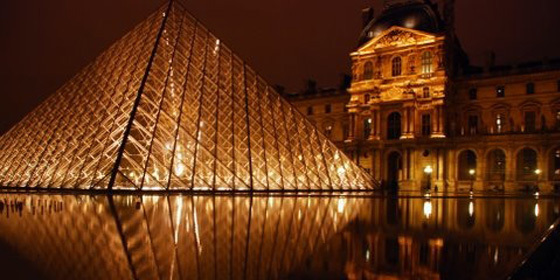 the summer by attending one of Tulane’s summer abroad programs in Berlin, Beijing, Shanghai, Paris, Rhodes, Rio de Janeiro, or Siena. Tuition is included in the academic year costs, leaving students who proceed immediately into the LLM program responsible only for their living expenses during the summer abroad program. International students must arrive in New Orleans by the start of the Introduction to US Law course in mid-July. Each student’s course of study is at least somewhat dependent upon the background and previous legal education of the individual student and on the student’s objectives. For example, US students interested in European legal studies would need exposure to European legal sources, European Community Law, and the like. A student from Germany, however, might focus her studies somewhat differently, seeking exposure to common law subjects and to other areas which she would be unlikely to have studied previously. Each student designs his or her course of study with the assistance of a faculty advisor. Occasionally, international students who attend our LLM program wish to take a US bar exam. Each state in the US has its own eligibility requirements, and prospective students who may be interested in admission to a US state bar are urged to check eligibility requirements at www.ncbex.org. Recently, the Louisiana Supreme Court ruled that foreign lawyers may take the Louisiana bar exam so long as they (1) are authorized to work lawfully in the United States, (2) have completed legal training recognized as equivalent to the JD, and (3) have successfully completed a minimum of 14 credits from a US law school in core legal subjects. Our LLM students are able to meet the latter requirement through their selection of courses at Tulane if they so choose. For graduates of Tulane’s LLM program who wish to fulfill the coursework eligibility requirements of the Louisiana bar, the Law School offers the opportunity to enroll in up to 14 credits over one or two semesters at a reduced tuition rate. Graduate students at Tulane Law School – both US and international – are fully integrated into the life of the student body. They take classes alongside JD students, participate in any of the dozens of student organizations, and have full access to the resources of the University and the Law School. At the University level, this includes the Reily Recreation Center, the Lavin-Bernick Center for University Life, and all of the speakers and concerts and sporting events sponsored by the University. At the Law School, this includes all of the resources of our Career Development Office and other support services. Naturally, all graduate students are invited to the myriad lecture series and other activities at the Law School. 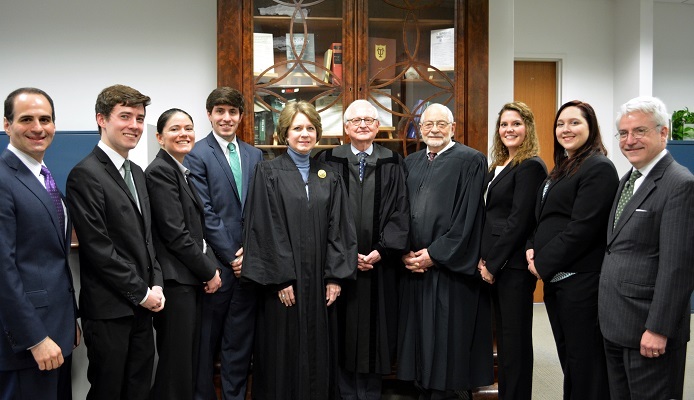 Some graduate law students have become involved in moot court competitions, while others have become involved with one or more of the eight faculty- or student-run journals at Tulane. Graduate students also run their own Law School student organization, Graduate Lawyers at Tulane (GLAT), which regularly sponsors programs to enhance the law school experience for all students. A unique and consistently successful part of Tulane’s graduate program is the summer orientation course, Introduction to the Law of the United States. In addition to orienting international students to the US system of law and legal education, the course facilitates students’ transition to New Orleans and to Tulane. Because international graduate students have the Law School virtually to themselves for almost four weeks, they get to know each other and the faculty in a relaxed environment, conducive to informal get-togethers and strong friendships. The LLM and SJD programs are overseen by the Office of International Legal Programs, directed by Professor Herbert Larson. 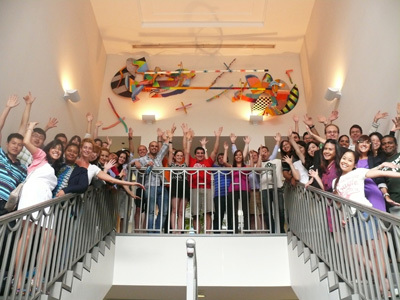 The Office staff works with LLM and SJD students, as well as visiting scholars and exchange students, and plans regular activities, including - during the summer orientation course—a series of field trips to courts, landmarks, and events around the city. 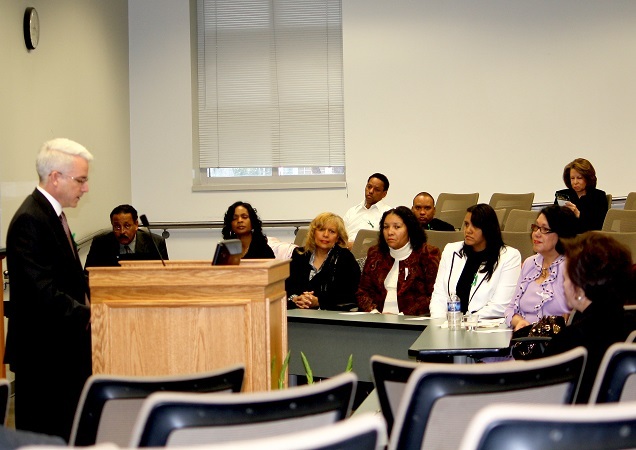 The Executive Director of the program regularly brings together students in the graduate programs and ensures that graduate students are integrated into the life of the Law School. Throughout the academic year, students are invited to attend social events as well as events intended to enrich the intellectual life of the community. The Office of International Legal Programs also works with GLAT (see above), the student organization that is dedicated to Tulane LLM, SJD, and exchange students. Tulane offers an intensive English as a Second Language (ESL) module especially designed for graduate level law and business students. The course is intended to assist students who would benefit from improving their proficiency in reading, writing, listening, and responding in English. Our objective in offering the course is to improve students’ abilities to communicate effectively in English in the professional context. Special emphasis is placed on improving listening comprehension and oral presentation skills. Taught immediately prior to the start of the summer course, Introduction to the Law of the United States, the ESL module provides three weeks of work in professional English. Students are then able to transition seamlessly into the Introduction to US Law course. Enrollment in the course is limited to international LLM students at Tulane Law School and international MBA students at Tulane’s A.B. Freeman School of Business. The resources of the Career Development Offi ce at Tulane Law School are fully available to students enrolled in the graduate programs, as well as to alumni of our graduate programs. 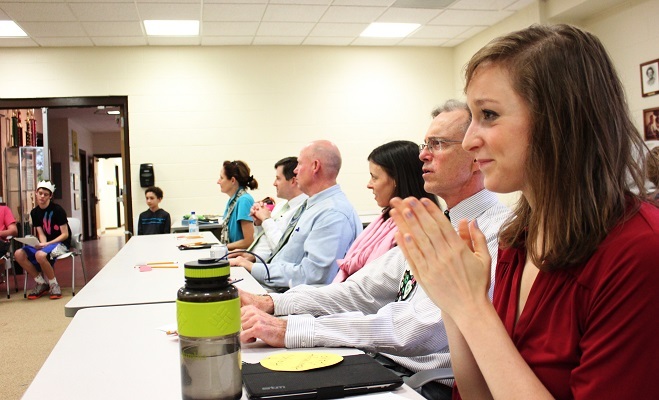 The Career Development Office staff becomes acquainted early with each new class of graduate students by participating in the summer orientation program. 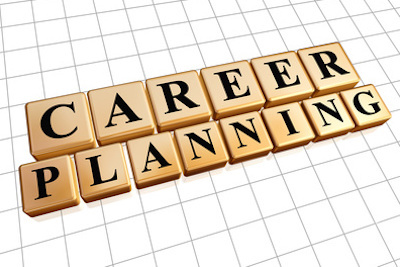 Graduate students have an assigned career counselor with experience in both domestic and international job searches and career opportunities. Graduate students are welcome to attend all career development workshops and presentations and to use all of the facilities of the Career Development Offi ce for their job searches (career resource library, computer lab, video conferencing, fax and telephone lines, printer). Graduate students are especially encouraged to take advantage of the opportunity for extensive individual counseling by a career services professional, including mock interviews, résumé and cover letter review, and assistance with job searches. Tulane law students may attend any Tulane Continuing Legal Education program free-of charge. These programs permit students to be exposed to practical aspects of an area of law and provides the invaluable opportunity for contact with practicing attorneys. Topics for these annual seminars include admiralty and maritime law, corporate law, estate planning, labor, litigation, sports law, and tax. Each year in January, Tulane Law School is among a select group of US law schools invited to participate in the International Student Interview Program (ISIP) organized by New York University Law School and conducted in New York City. Over 125 law fi rms and other employers gather to interview international LLM students interested in working in the United States and in their home countries. 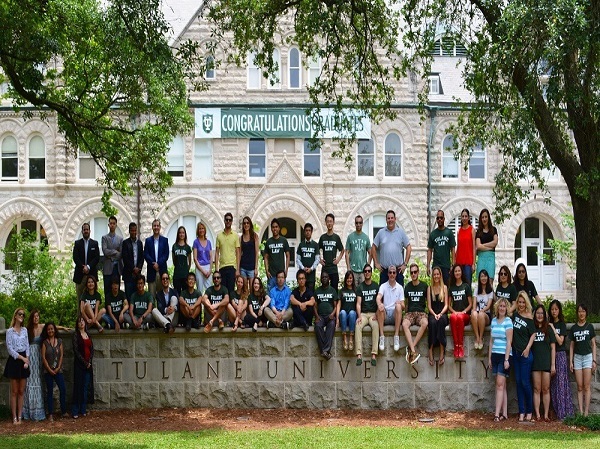 Over 2000 alumni of Tulane’s various graduate programs in law live throughout the world. Alumni groups get together informally in many European, Asian, and Latin American cities. In cooperation with our Offi ce of Alumni Affairs and Offi ce of Continuing Legal Education, alumni may organize multi-day meetings, alumni events, and continuing education programs in locations throughout the world. Many of our alumni stay in touch with Tulane and volunteer to provide assistance with networking opportunities for our students and new graduates.